Fold-up helmet to save Melbourne bikes? Dublin is a city of 1.7 million people and in September 2009 it introduced a bike hire scheme in and around the city centre. The scheme has 400 bikes which are located in 40 docking stations. People pay an annual subscription of EUR 10 to use the bikes on a regular basis and there are other options for occasional use and visitors. After paying the subscription, the first 30 minutes of each use are free. In the first 12 months of the Dublin scheme 47,000 had subscribed to the scheme and over 1.1 million journeys were made on the bikes.This averages around 5,000 trips per day and the maximum daily usage was just under 6,000 trips. The scheme has been a great success, much exceeding predictions. Many people use the bikes who had not previously cycled in Dublin and the scheme has been well received by the city's residents and visitors. During the first year there were only two bike thefts (since recovered) and no serious casualties. The scheme is to be expanded with 100 more bikes and 4 more docking stations by the end of 2010, and there are plans to build up to 5,000 bikes in use by 2015. Melbourne is a larger city than Dublin, with a population of 4 million people. However, the central area has much in common with Dublin and is no less suitable for cycling. In June 2010, the city also introduced a bike hire scheme on a similar scale to Dublin. It has 600 bikes and 50 docking stations. Subscriptions to use the bikes are higher at AUD 50 a year (about EUR 37) but otherwise operation of the scheme is the same with the first 30 minutes of each use free. After 4 months of operation in October 2010, the Melbourne hire scheme had attracted fewer than 650 subscribers.During the period there were 20,700 journeys made by the bikes, or around 300 per day. While the Dublin scheme has become more and more popular, cycle hire in Melbourne seems to be becoming less so. From July to August the number of new subscriptions went down from 135 to 108, the number of casual users from 1,461 to 1,070 and the number of journeys from 4,116 to 3,775. One difference between the hire schemes in Dublin and Melbourne is that the cost of a subscription is nearly four times as great in the Australian city. However, the cost in Melbourne is still not high in comparison with other transport costs and it is unlikely to explain the 20-fold difference in the journeys made. Instead, almost all observers put the failure of the Melbourne scheme down to the State of Victoria's mandatory helmet law which makes casual use of the bikes difficult. 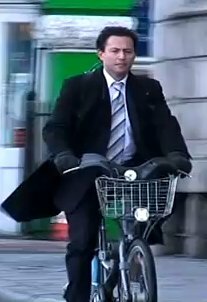 In Dublin there is no helmet law. While some people using the hire bikes there do wear helmets, most don't. No city with a helmet law has achieved a successful hire bike scheme. 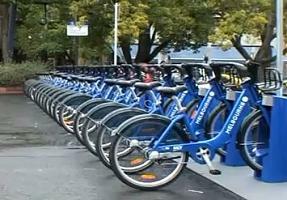 In Auckland, New Zealand the NextBike scheme folded in November 2010 having achieved only 50 rentals a day. In Mexico City a helmet law was rescinded due to its impact on bike hire. Another Australian scheme in Brisbane appears to be getting off to a slow start. In May 2011, the number of journeys made by Dublin's bikes passed 2 million. On 13th July 2011, a new record of 6,280 journeys in a single day was recorded. On 13th October 2011 this was increased further achieving 7,052 journeys in a day, meaning that each bike was rented an average of 13 times. JC Decaux and Dublin City Council won the 'Best Green Contribution to Dublin Life' award to recognise these achievements.